A brand new show, CamperFest, is to arrive at Chester Racecourse for the 9th Chester Food Drink and Lifestyle Festival 3rd -5th April 2010. CamperFest is the family, fun festival aimed at those who love food, drink and camping in a relaxed, city centre location. There will be four days of fabulous camping fun in the Chester sun with celebrity chef demos, hundreds of stalls to see, taste and buy everything that tickles your taste buds and luxury camping facilities to make your stay chilled out and comfortable. There will be plenty for the kids to get involved in too, and along with The Academy of Culinary Arts, kids can learn how to cook yummy meals for themselves, mums and dads leaving you the chance to browse around the many food, drink and lifestyle stalls at leisure. Or alternately email: [email protected] or [email protected]cwirrel.com. VW Group chairman Martin Winterkorn has given the first official confirmation that a new entry-level Porsche sports car is being evaluated writes Autocar. Dubbed by some insiders as the “new 356”, the mid-engined machine will not, however, be a bargain basement model, despite initial rumours to the contrary. Given the final green light, it would cost from about £33,000 in today’s money. Instead, the 356 is expected to be based on a new steel and aluminium platform that’s being developed by Audi for its own R4 mid-engined sports car. Work on the R4 is already well advanced, and it’s due to be launched in June 2011. 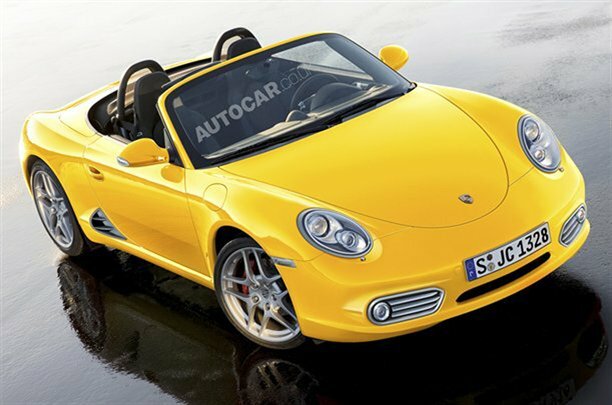 However, Porsche’s version of the car, which won’t arrive before late 2012, is expected to be significantly different. Aside from its unique styling inside and out, the 356 is also expected to be one of the first Porsches to be fitted with a forced-induction flat four engine that is currently under development. This unit will also help ensure the Porsche and Audi have sharply different characters, even though the two cars have the same basic architecture. It’s also likely that the Porsche will share its transmission with the Audi because the longitudinal unit used in the 911 and Boxster is thought to be too costly. It’s expected the engine will be good for about 250bhp. That’s virtually the same as today’s entry-level Boxster, although fuel economy would surely be better. However, there’s little chance that the 356 and Boxster will clash because, according to one rumoured product plan, the next-generation Boxster and Cayman could be moved sharply upmarket. 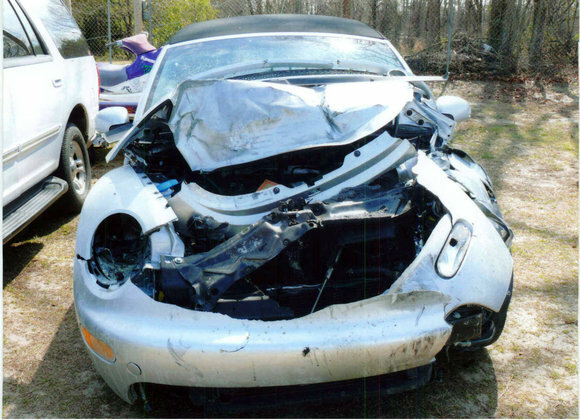 Driving while impaired by texting, Tyler Strandberg wrecked a VW Beetle, on U.S. 64 near Rocky Mount. Like father, like daughter – only more so. Tyler Strandberg of Rocky Mount has a hard time getting her mind off her BlackBerry when she drives writes newsobserver.com. Each time, she was distracted from her driving because she was typing text messages or talking on the phone. Her dad, Buckley Strandberg, worries that she will never curb her dangerous habit. But Buckley, an insurance executive, confesses his own weakness for Blackberry and Bluetooth. He feels compelled to conduct business by phone and e-mail on long, lonely drives between his offices in Rocky Mount and Nags Head. “That’s more than two hours,” said Buckley, 49. “I’m not just going to sit there in the car. I get a lot of work done on that straight, dead stretch of U.S. 64. Buckley and Tyler Strandberg contacted The News & Observer to come clean about a problem they share with each other – and with a lot of us. They expressed embarrassment but spoke candidly about how they rely on their phones when they drive, and how they try to reduce their risks. As many as 60 percent of drivers use their phones occasionally, researchers say, and 11 percent are on the phone at any one time. Cell phone use is a deadly distraction that causes as many as 28 percent of all traffic crashes, the National Safety Council says. The first was in 2007 on U.S. 15-501 between Chapel Hill and Durham. She was texting, didn’t see traffic slowing in front of her, and ran into a truck. There were no injuries, she says. Then she totaled two cars within two months. In February 2008, she was lost on Raleigh’s 540 Outer Loop, overdue for a family dinner. She and her father argued on the phone as she drove, and she couldn’t understand his directions to the Raleigh restaurant. “I was mad, lost and late. It was sleeting, and I was really stressed out,” Tyler said. She hit an icy patch and spun into a green exit sign, smashing her Nissan Xterra. Want to get your van re-upholstered in time for the new season? Want excellent quality of materials and workmanship at a price that isn’t going to break the bank? VZi sponsor, Traffic Trim is offering an interior re-trim at only £795.00 in vinyl or fabric. Both are commercial quality fabrics. This includes cab seats, rock and roll bed, rear bed cushion, front and sliding door panels and rear tailgate panel. Check out www.traffictrim.co.uk for pictures of recent work and give them a call on 07795183375 if you have any questions. Just want to say a ‘big thank you’ for recovering our van interior, so glad that we chose you to do the works, the quality is excellent and it looks fantastic, me & John are both really pleased, we will definitely recommend you. You maybe aware or not but theres a huge market in reupholstering camper interiors and we’ve both seen alot of other reupholsters work at shows ( & i mean loads !!!) and there craftsmanship is nowhere near your standard or quality. When the van is put altogether I will email some photos, at the moment its still in the spray shop John’s still deciding on the colour ! (its changed so many times, at the moment its mini cooper sparkling silver metallic, but that could change within 24 hrs !!). Volkswagen motorsport director Kris Nissen believes that Formula 1 will need more stability and a better image before his company considers entering writes www.autosport.com. The German car manufacturer revealed at the end of last year that it was evaluating the potential benefits of moving into grand prix racing when new engine regulations are introduced from the start of 2013. Although the situation remains completely open, Nissen says that the sport will need to make some changes before VW feels ready to commit. “Formula 1 is facing one of the most difficult situations it has had for many years,” Nissen told AUTOSPORT. “They need to handle that, and I really believe that [FIA president] Jean Todt and the teams will do that. I think that for manufacturers to come back, or for new manufacturers to enter Formula 1, you need to have stability, you need to have a slightly different image, and you need to bring the costs down. Nissen also said that if VW did opt for an F1 programme, it was unlikely that the company would choose to run under the ‘Volkswagen’ brand name – meaning it could be as Audi, Bentley, SEAT or even Bugatti. 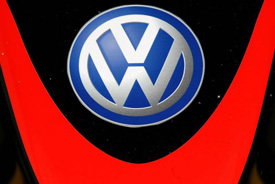 “There is a difference between the brand Volkswagen and the Volkswagen group,” said Nissen. “The VW group has a lot of brands, ten now, with different images. If the group enters Formula 1, they would need to decide which brand, and I personally think that they would decide on another brand than Volkswagen. 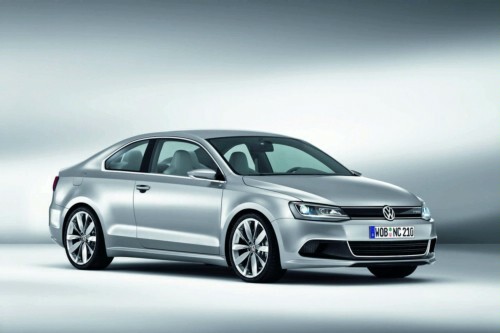 VW will be debuting the New Concept Coupe (NCC) at the Detroit auto show today writes www.worldcarfans.com. 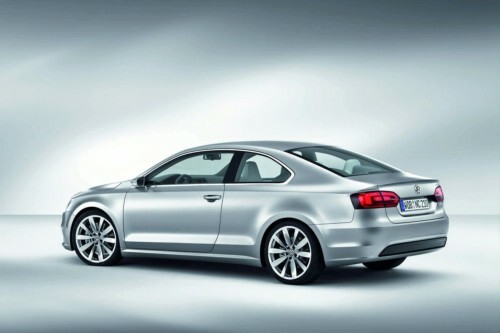 The New Concept Coupe is a full hybrid car, which in European media has been referred to as a Golf Coupe prototype. The car is likely based on the same platform as the Golf/Jetta and, although still in the concept stage, it will most probably come to be called the Jetta Coupe if it ever goes to market in North America. The vaguely named New Compact Coupe comes with VW’s 1.4 liter TSI engine, a turbocharged 4-cylinder dialed up to 150 hp and 220 Nm of torque (177 lb-ft), coupled to a 7-speed DSG gearbox (a dual-clutch sequential transmission), as well as an electric motor with 20 kW/27 hp. Powered by a lithium-ion battery pack, the electric motor is able to propel the car on its own, which allows the vehicle to be classified as a full-hybrid. When the TSI engine is shut down, it is also disengaged to reduce any drag effect. Performance numbers on the coupe are impressive – with only 98 g/km in CO2 emissions, the NCC does the 0 to 100 km/h sprint in just 8.6 seconds and has a top speed of 227 km/h (141 mph), all the while delivering 4.2 liters/100 km (45 mpg) in fuel economy. The NCC comes in “Tungsten Silver Metallic” with bi-xenon headlights and LED daytime running lights, turn signals and tail lights. The NCC is 4.54 m (178.5 inches) long, 1.78 m (70.1 inches) wide and 1.41 m tall. Fitted with 19-inch “Lugano” alloy wheels, the NCC comes finished with a Grigio Quartz (grey quartz) and Berry White leather interior. Styling on the coupe seems perfectly aligned with the rest of the VW lineup. Despite no confirmation yet, reports put the NCC already approved for production with sales starting within the next two years. Farewell: Mourners carry the coffin at the funeral of Tony Minns. MOTOR enthusiasts paid “the perfect tribute” to a fellow petrolhead with a convoy of classic cars accompanying the cortege to his funeral writes Peterborough Today. 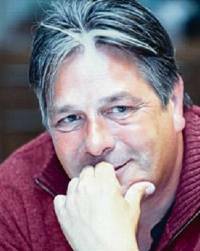 Tony Minns died, aged 46, from a heart attack on December 14. 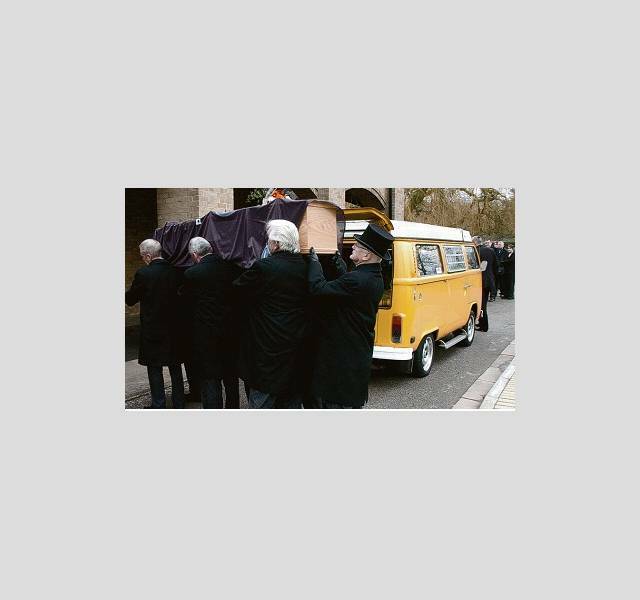 The stepfather-of-two’s funeral was held yesterday, and his coffin was carried to Peterborough Crematorium in his beloved Volkswagen camper van, followed by family and friends in a variety of classic VW Beetles, Golfs and camper vans of all ages and colours.